West Iroquoia Falls is considered a Terraced Ribbon Falls. Its height is 20 metres (66 feet) and its crest width is 1.2 metres (4 feet). 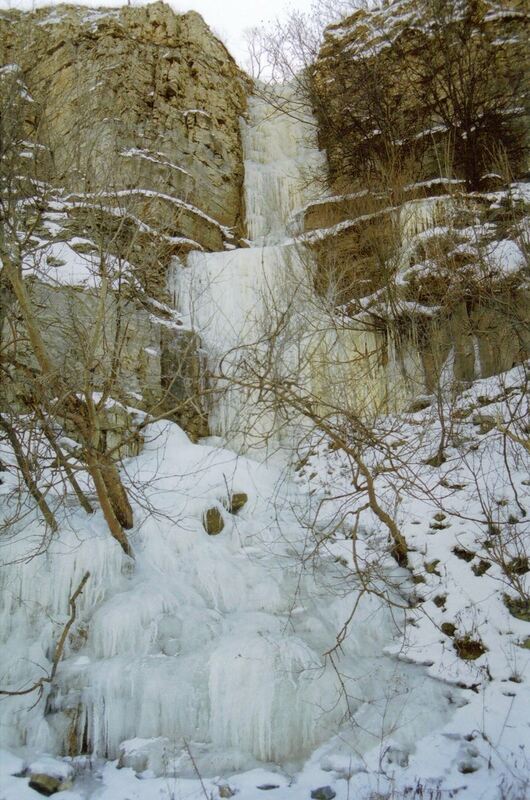 Its source is the west side of the Iroquoia Conservation Area. 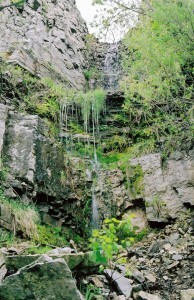 The water drains into a very small ravine which outlets at the top of this falls. 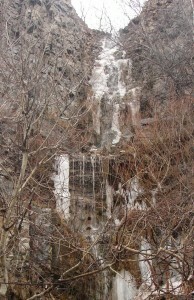 It experiences its strongest flow during heavy rainfalls and during the winter snow melt. West Iroquoia Falls is visible from Hwy 403 as you drive upbound and is the third waterfall (after Lower Princess Falls and East Iroquoia Falls), however most people miss this falls as leaves on the abutting trees block the view. 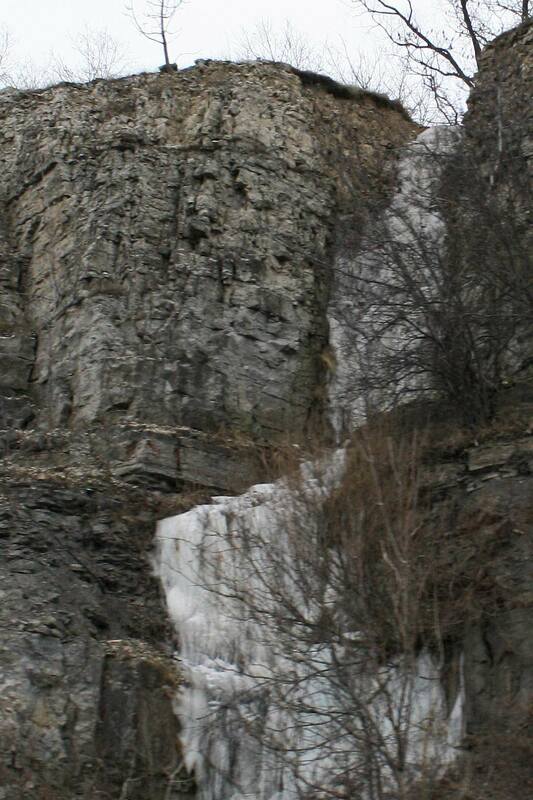 There is currently no safe way to view this waterfall up close, as it is located behind the large rock protection fence and there is no place to pull over on the highway.